Chancellor Gary L. Miller announced today (Monday, June 22) the appointment of Ronald T. Pfeifer of Green Bay as the new Associate Chancellor for External Affairs and Chief of Staff for the University of Wisconsin-Green Bay. Pfeifer will join the UW-Green Bay administrative team on July 23rd. He currently serves as Associate General Counsel for Schneider National Inc., North America’s largest truckload carrier, headquartered in Green Bay. He has held that position since 2013 following 28 years as an employment-law attorney with the local office of the statewide firm Godfrey & Kahn, S.C. The Associate Chancellor for External Affairs element of Pfeifer’s title is new at UW-Green Bay and indicative of Miller’s priority in having the University be more aggressive in pursuing innovation, transformation and service to the region. Also factoring into the administrative restructuring are pending retirements and consolidation necessitated by steep funding reductions in the 2015-17 state budget. Pfeifer will take over chief-of-staff duties currently held by Dan Spielmann who will retire in early July to conclude a UW-Green Bay career that began in 1976. Spielmann, an attorney, serves as the institution’s legislative liaison and as an adviser to the chancellor on legal matters. Pfeifer will assume additional responsibility with formal designation as managing director of the chancellor’s leadership cabinet and liaison to the Council of Trustees’ Advocacy Committee. Miller said an important new function of Pfeifer’s position will be organizing and extending the University’s community engagement and networking activities. Pfeifer sees a strong base on which to build. Pfeifer grew up in Lincoln, Nebraska and attended the University of Nebraska where he pursued a liberal arts course of study and graduated with a double major in philosophy and political science. He earned his law degree at Northwestern Law School and was appointed to the editorial board of the Northwestern Law Review. He began his professional practice with firms in Indianapolis and Minneapolis before relocating to Green Bay in 1984 to join what would become the Green Bay office of Godfrey & Kahn. He retired in 2011 and spent most of the next year as a consultant to the Labor Relations Institute working with clients nationwide on best practices, legal considerations and positive employee relations. Pfeifer and his wife, Suzy, are longtime advocates and financial supporters of UW-Green Bay though neither is an alumnus. In 2012, the Pfeifers endowed a Phuture Phoenix Scholarship to help students at Green Bay East High School involved in the Institute for the Fine Arts to attend UW-Green Bay. The Pfeifers are active supporters of Phoenix Athletics. 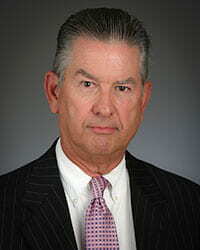 Ron has served on the board of directors for both the Phoenix Fund and the former Fast Break Club. Ron Pfeifer was appointed a board member with the University’s Founders Association in 2012. He served until the community-based fundraising organization was absorbed into the UW-Green Bay Foundation, Inc. earlier this year. Suzy Pfeifer, recently retired as Director of Marketing and Fund Development for Encompass Early Education and Care, Inc., was employed by UW-Green Bay as Director of Major Gifts in the early 2000s and is a past member of the Council of Trustees. Ron Pfeifer’s extensive record of community involvement includes board of directors’ service with the Green Bay Boys and Girls Club, Bellin College of Nursing and Scholarships, Inc. where he served two terms as President of the Board of Directors. He is also a former chair of the Unity Hospice Board. He has participated as a consultant or committee member with organizations including the Green Bay Symphony Orchestra, the local YMCA and St. Norbert College. This entry was posted in Faculty/Staff, Headlines, News Releases on June 22, 2015 by bassettb.